The Musical. Composed by Irving Berlin. Vocal Selections. Broadway, Standards, Christmas, Movies. Softcover. 72 pages. Published by Hal Leonard (HL.313429). ISBN 1423463501. 9x12 inches. 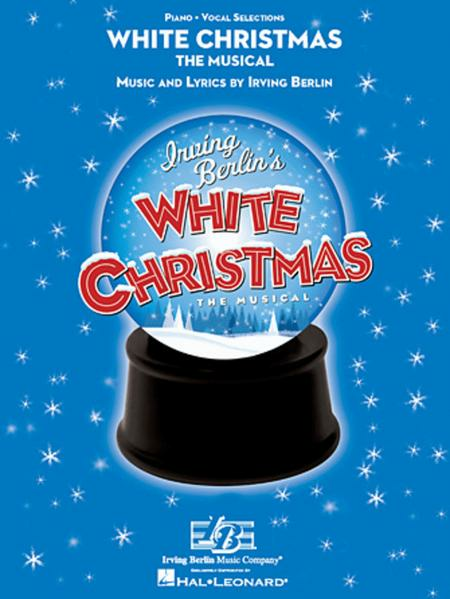 Music and Lyrics by Irving Berlin. The 1954 film White Christmas is a beloved holiday classic. The stage musical has already delighted audiences nationwides, and will hit the Great White Way this holiday season! 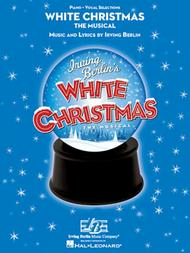 Our songbook features piano/vocal arrangements of 17 Irving Berlin gems, plus an essay on the origin of the stage adaptation. Songs: Blue Skies • Happy Holiday • How Deep Is the Ocean • I've Got My Love to Keep Me Warm • Sisters • White Christmas • and more! A nice selection of relatively easy arrangements of the musical. I felt that the arrangement for I love the Piano could have been better but on the whole a nice value.